Also, thanks to @mindintransit for sharing this awesome news!! 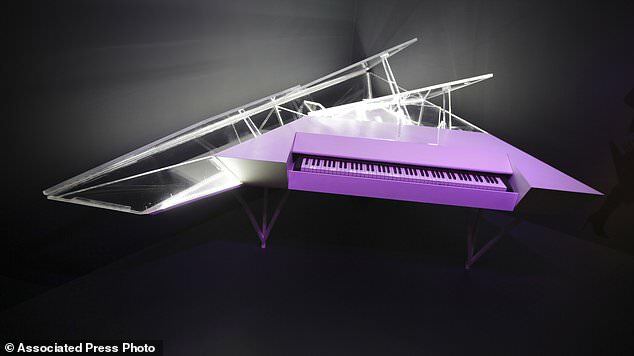 She honestly has some of the most beautifully designed pianos ever. Even for one off tv appearances there has been some pretty amazing ones... so no surprises they’re getting put on display. Is ARTPOP finally getting the recognition? yes, the piano is beautiful, but you'd think there are far more iconic pieces of music history in her career. This particular piano has zero impact. Oh well, I guess this is enough proof that everything with Gaga's name on it is iconic. Legends only. ARTPOP had so many great ideas and concepts that got lost in all the management mess and controversy. From all the iconic things she has ever used, they picked that? Legit thought the same thing it is a pretty stunning piece though, so I see why they picked it. Oh wow thanks for finding this! !